A steel works near Völklingen on the banks of the Saar river, which began operation in 1883. 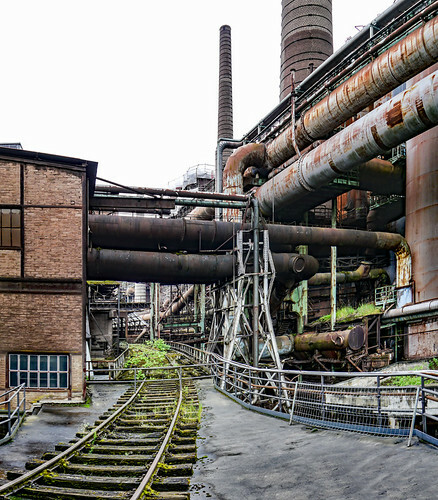 The plant closed in 1986. Today, the Völklingen Ironworks is a museum. Visitors can roam freely (at least when we were there a few years ago) around much of the area, including climbing up and around on the catwalks. It is a very cool place. It is a UNESCO World Heritage Site and an anchor point of the European Route of Industrial Heritage (ERIH).